Give your skin the hydration it deserves. This uniquely light and fluid moisturizer spreads and absorbs quickly and won’t clog your pores. 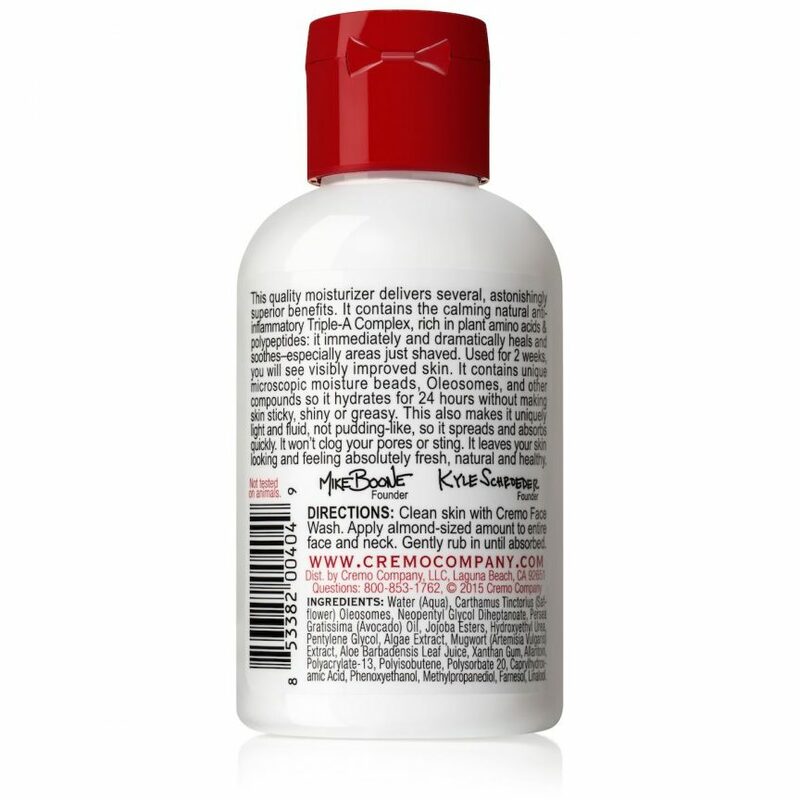 Containing the calming, natural anti inflammatory, Triple-A Complex, Cremo face moisturizer immediately and dramatically heals and soothes skin. It hydrates for 24 hours without leaving skin sticky, shiny or greasy and will visibly improve skin in just 2 weeks. 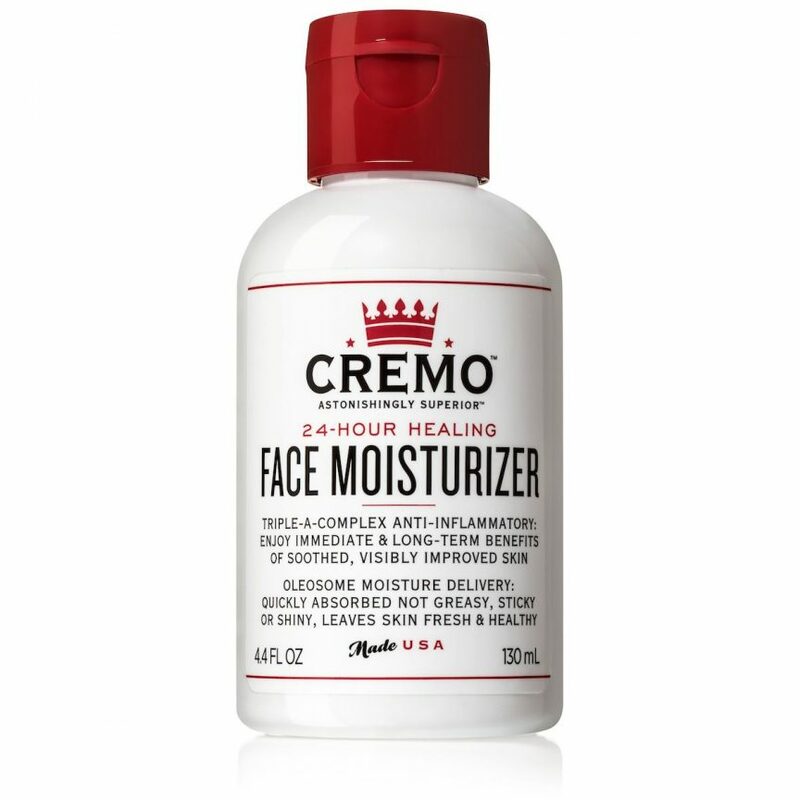 Cremo Face Moisturizer leaves your skin looking and feeling radiant, fresh and healthy. 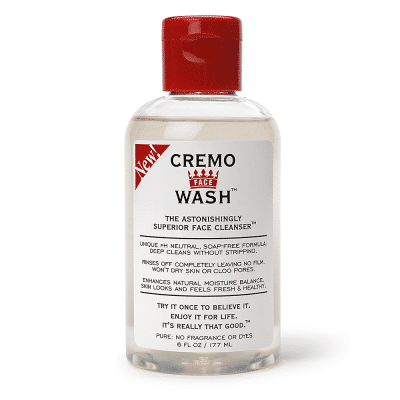 Clean your skin thoroughly (Cremo Face Wash works the best as it leaves no film or residue and does not strip your skin). Apply an almond-sized amount to your fingertips or palms and gently rub into your face and neck until it is fully absorbed.  Use more for drier skin, less for oily. Water (Aqua), Carthamus Tinctorius (Safflower) Oleosomes, Neopentyl Glycol Diheptanoate, Persea Gratissima (Avocado) Oil, Jojoba Esters, Hydroxyethyl Urea, Pentylene Glycol, Algae Extract, Mugwort (Artemisia Vulgaris) Extract, Aloe Barbadensis Leaf Juice, Xanthan Gum, Allantoin, Polyacrylate-13, Polyisobutene, Polysorbate 20, Caprylhydroxamic Acid, Phenoxyethanol, Methylpropanediol, Farnesol, Linalool.